(Please notice: We'll no longer be able to deliver the cardmaster upgrade kit as of 1st of March 2003, this guide is therefore meant for customers who already have a kit). This guide describes, step by step, how to upgrade an Infinity 1.3 programmer with the latest Cardmaster firmware (with support for both Silvercards, Funcards etc). You'll need a the Cardmaster Upgrade Kit (contact us for availibility) a soldering iron, some tinsolder and a small flat screwdriver. 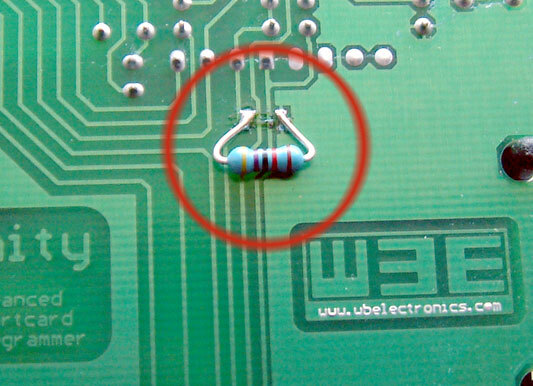 or an SMD resistor, and make sure there's no shortcircuits between the 2 points. 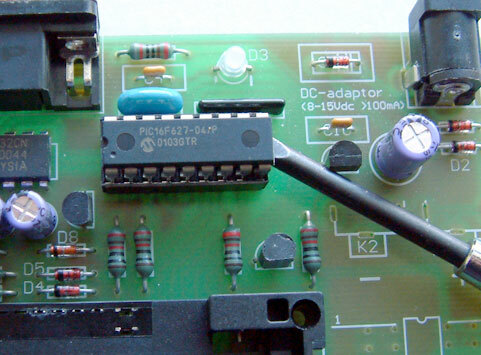 Remove the old firmwarechip with the screwdriver. 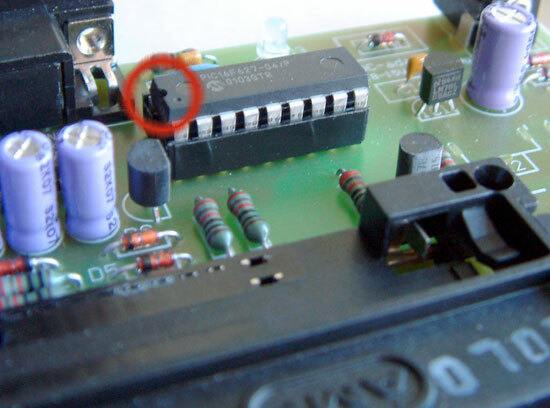 Insert the new Cardmaster firmware chip, and make sure it's well seated in the socket. 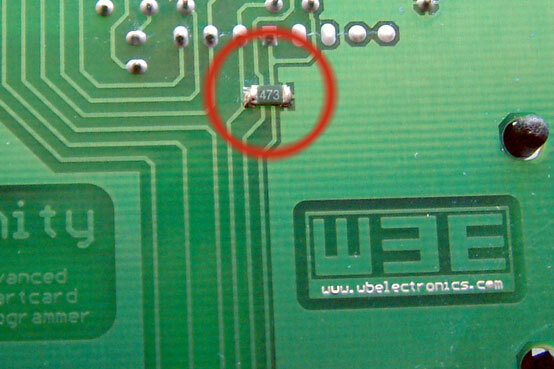 Notice the small marking on the chip, and make sure it's aligned correct. Everything is done, and you're ready to use the Cardmaster software which can be downloaded from the download page.